Looking for a great way to drive the brand new Alfa-Romeo Stelvio you want and save money in the process? A lease may be the perfect option for you! At Safford Alfa Romeo of Tysons Corner, we offer a variety of leasing programs that can make driving a new Alfa Romeo Stelvio easier on your wallet. The Stelvio is an incredible SUV that features Italian-inspired style along with amazing performance. Our dealership has a tremendous selection of new Stelvio models to choose from in a wide variety of exterior color options. Just take your pick and contact us online if you’d like to schedule a test drive. If you’re new to the Alfa Romeo brand, one of our product specialists will be happy to demonstrate all the features that the Stelvio offers. We’re sure after just one test drive, you’ll fall in love with this vehicle and want to take it home and put it in your driveway. We’re conveniently located at 8448 Leesburg Pike Unit A, Vienna, VA 22182. There are many advantages to leasing an Alfa Romeo Stelvio and, for many customers, none is bigger (or more appropriately smaller) than the monthly payment. With a lease, the monthly payment you incur is typically significantly less than if you choose a traditional financing arrangement. There’s also the fact that you don’t pay sales tax. That’s right! Since a lease means you don’t technically own the vehicle, there is no sales tax to pay. That’s even more money you can keep in your pocket when you lease a new Stelvio from Alfa Romeo of Tysons Corner. Many of our shoppers at our dealership also love the fact that a lease is not a permanent ownership arrangement. That means when they are ready to get another newer model, they don’t have to worry about selling the vehicle or what to do with it in order to “trade up.” With a lease, you just return the vehicle to the dealership. It’s that easy! If you’d like more information on all the great aspects of leasing a Stelvio, reach out to us online or visit our dealership in person. 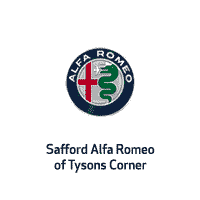 Safford Alfa Romeo of Tysons Corner has amazing lease specials available on new Stelvio models. All of our leasing specials are offered in conjunction with factory incentives, so that means they are typically available for a limited time only. So, now is the time to act and get the new Stelvio you want at an incredibly low monthly payment!